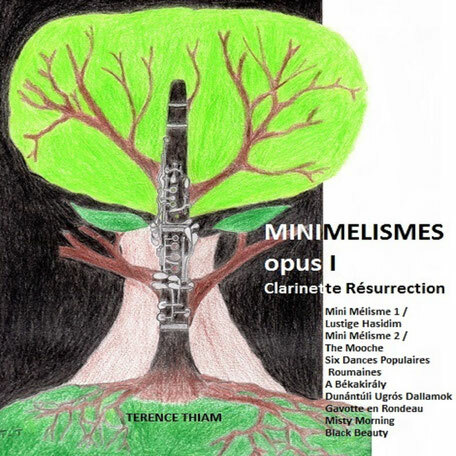 "Mini Mélismes - opus I - Clarinette Résurrection" is a clarinet solo album with an original style between classical music, jazz, klezmer and Central Europe folk music. First opus of the Mini Mélismes cycle, it's an improvised trip around some popular Hungarian, Romanian, French, Klezmer and Duke Ellington tunes, connected by the play of this clarinet: hesitating, stuttering with its melismatic vibrato, torn between classical sound, jazz sound and klezmer sound, rocky and slightly distored, sometimes with accents of voice, trumpet and sax, singing and percussive, dancing, playing its rhythmic freedom. Mini Mélisme 2 / The Mooche is dedicated to my friend Arthur C.